Edited by Atelje Larsen. Text by Sune Nordgren. 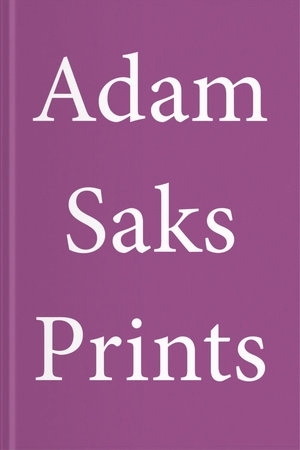 This book compiles five years' worth of etchings, photogravures and woodcuts by Berlin-based Danish painter Adam Saks (born 1974). The quality of mark-making, exploration of graphic formal language and intimate intensity within Saks’ prints are similarly evident in his painted work. Hardcover, 5.25 x 7.5 in. / 80 pgs / 53 color.